Eric holds degrees in biblical studies from Gordon College and a Masters of Divinity (Mdiv) from Gordon Conwell Theological Seminary. He has helped oversee and manage several group homes and emergency shelters for adults with developmental disabilities and has also been director of sales and marketing for a start-up business technology consulting company in Washington, D.C. Eric has been a pastor for more than 15 years in the USA, and is one of the founders of SHN. Holly is a special education teacher with dual degrees from Gordon College, certified in moderate to severe special needs, as well as early childhood education. In addition to the 10 years of teaching in public school systems, she has also created the educational program every year for their three adopted children who each have Down syndrome. She, with her husband Eric, is one of the founders of SHN. 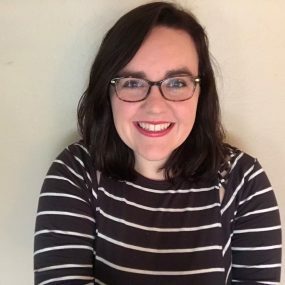 Lauren is an ASHA certified Speech Language Pathologist, graduating with her Bachelors Degree in Speech and Hearing Sciences from the University of Illinois Urbana-Champaign in 2011 and her Masters Degree in Speech Language Pathology from Northern Illinois University two years later. During her time at NIU, she found her passion for working with children and adults with significant language disorders. She spent two years working in Champaign, IL as the Speech Language Pathologist on the Functional and Essential Skills classrooms multi-disciplinary team. She joined Special Hope Network in November of 2015 and continues to be a valued member of the SHN team. Martha is a special education teacher with a Masters Degree in Adaptive Special Education and an Autism certificate from the University of Mary Washington (2017). During her college years she was a leader in a ministry called Capernaum, which grew her passion to create relationships and walk alongside people who have disabilities. Her classroom and community experience will allow her to support the current teachers and students in our Centers, and work directly under the supervision of our Director of Education to improve our academic excellence. Sarah is a Special Education teacher with a Master of Teaching Degree from the University of Virginia in General Curriculum K-12 Special Education and Elementary Education as well as a Bachelor’s Degree in Cognitive Science. Sarah is certified to administer the ADOS-11 to diagnose autism spectrum disorders. Sarah worked as a Special Education teacher in a Structured Teaching program for children with autism at Clark elementary school for two years in Charlottesville, VA. She developed her passion for working with children and adolescents with disabilities through connections with neighborhood friends while growing up, by serving as a personal care attendant to multiple adults with disabilities while in college, and by volunteering with the ministry of Young Life Capernaum. She is married to Alan (see his biography below). Alan is a Special Education teacher with a Master of Teaching Degree from the University of Virginia in General Curriculum K-12 Special Education and Secondary Social Studies Education as well as a Bachelor’s Degree in History. Alan worked for two years as a collaborating Special Education Teacher at Jack Jouett Middle School in Charlottesville, VA. Alan is certified to administer the ADOS-II to diagnose autism spectrum disorders. He and his wife, Sarah, developed their passion for working with children and adolescents with disabilities through serving as personal care attendants to multiple adults with disabilities, and by volunteering with the ministry of Young Life Capernaum. Jessica is entering her second year as a Speech-Language Pathologist, and is a graduate of the University of Northern Iowa in Communication Sciences and Disorders (B.A., 2015) and Speech-Language Pathology (M.A., 2017). During her time at UNI, Jessica found her passion working with the pediatric population in the areas of Language Disorders and Augmentative and Alternative Communication (AAC). Throughout multiple short-term mission experiences to Guatemala, God called Jessica to give of her talents for his work both locally and abroad. She spent her CFY year providing services as a school SLP in rural Iowa, working with low-income families, serving with ages birth to 21-years old. Jessica is following the Lord’s plans and anticipating joining Special Hope Network during the summer of 2018. She is excited to see how the Lord will use the training she has received to grow his kingdom, and serve his people. Born and raised in Roanoke, VA, Andrew moved to Charlottesville to attend the University of Virginia, where he graduated with a degree in History in 2009. After graduating, Andrew worked with Charlottesville Abundant Life Ministries, a community development non-profit serving in a low income neighborhood. His experience in nonprofit management and advocating for vulnerable populations make him well-suited to contribute to Special Hope’s work in Zambia. Laura is a Registered Nurse and has a Bachelors of Science in Nursing from the University of Washington. She worked as a pediatric ICU nurse at Seattle Children’s Hospital before moving to Lusaka, Zambia in 2011. It was in Zambia that she found her true calling serving children with special needs. After she and her husband Ben adopted their Zambian-born son Nathaniel, who has hydrocephalus and cerebral palsy, she began to work with SHN as the Director of Health Care. Laura and her family returned to the US in 2013. They reside in Bellevue, WA along with their four sons. Milika graduated from Chelstone High School in Lusaka. She then worked at Kasisi Orphanage for one year, where she was part of the start-up Special Education classroom outfitted by Special Hope. After attending several training courses with Special Hope, Milika became one of the organization’s first full-time Zambian staff. She now does trainings for other organization, fundraises, helps with health recording of all CCC children and oversees many other SHN programs. Mirriam graduated from Kabulonga Girls High School in Lusaka, Zambia. She is a trained and certified Social Worker, working specifically with children’s families and medical care of our CCC kids. She is married with three children. Her experience and studies allow for her to interact with parents and caregivers in a professional, yet sensitive way. She now works to train and equip parents to better care for their kids at home.